Eugin conducts research with universities of Barcelona, Milan, Cardiff, Leeds and Ghent in order to gain better knowledge of fertility and help more women achieve their dream of motherhood. Over the last fifteen years, Eugin has helped thousands of women worldwide become pregnant. At Eugin we are genuinely happy and proud to have been able to help these mothers, but we do not want to stop here. We are developing, in collaboration with prestigious universities worldwide, numerous research projects aimed at deepening our knowledge of fertility and assisted reproduction. Eugin has published and continues working on numerous studies covering the whole pregnancy process. 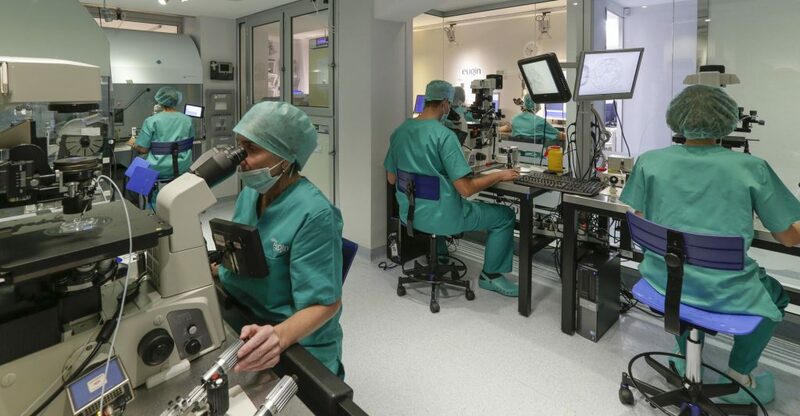 In this regard, the research carried out takes into consideration all the crucial stages involved in assisted reproduction treatment, from the time prior to fertilization through to embryo transfer, all of which is aimed at increasing our patients’ chances of conceiving. We however, do not only restrict our work to pregnancy itself and for this reason we promote studies that also concern our patients’ emotional state: we want to know how they feel, how they experience this process so that we can make sure that we offer them the best possible support in order to make them feel at their best throughout the treatment. Furthermore, our research also focuses on the health of children born through assisted reproduction techniques. Not only is their birth very important but so is growing up. In order to be able to build on some of this research, Eugin has its own laboratory at the prestigious University of Barcelona Science Park. Furthermore, with a view to carrying out its work with the utmost scientific rigor, the Eugin Foundation is also working with workgroups from well-known universities such as Università degli Studi of Milan, the University of Leeds, Cardiff University, Gent University and the University of Barcelona, thus providing its research with greater variety, richness and an enhanced international dimension. Eugin conducts research alongside prestigious universities from all over the world in order to deepen our knowledge of fertility and help more women achieve their dream of motherhood. Currently, Eugin is playing a leading role in studies and research covering the whole pregnancy process. At present, Eugin is conducting joint research with the Milan University in which eggs are studied at a molecular level in order to be able to discard those with malformations and which are therefore more likely to lead to unsuccessful embryonic development. This research is being carried out using a pioneering new approach in the world of assisted reproduction. In collaboration with the Gent University research is being done on the application of a cutting-edge assisted reproduction technique Artificial Oocyte Activation (AOA), which is aimed at helping patients who have experienced repeated fertilization failure achieve pregnancy. These are couples who, in spite of the fact that the woman is young and has a good ovarian reserve, are not successful in achieving fertilization. 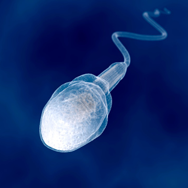 In these cases the sperm is examined in order to confirm that it is this which is the cause of fertilization failure. Once the anomaly has been detected, it is injected with a substance that is lacking for its proper functioning and which enables fertilization to occur. AOA is a pioneering technique with very promising results and Eugin is at the forefront. In order to better understand the health of future children born through assisted reproduction, Eugin has planned a research project with the Leeds University. 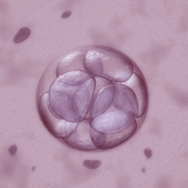 To this end, embryos from different sources will be compared from couples with, and without, fertility problems to detect whether there is an abnormality that may be related to the development of genetic diseases. In order to offer our patients the best psychological support before, during and after treatment, Eugin’s research team, together with Cardiff University is currently measuring how women feel during the process. The goal is to know both how they feel and how they live this process and thus ensure that we offer the best possible support to make them feel their best throughout treatment.